Premier Resorts de Mexico, Cabo del Sol The Premier Collection of luxury condominiums Los Cabos, Cabo San Lucas, Mexico! BUY Per Room Per Night & Choose Your Length of Stay! Cabo del Sol is regarded as one of Mexico's premier resort communities and an internationally renowned golf destination. Cabo del Sol is home to exceptional world-class golf, including the acclaimed Jack Nicklaus designed Ocean Course, named among the "Top 100 Golf Courses in the World" by Golf Magazine, and the Desert Course, a spectacular Torn Weiskopf design, featuring an inland layout that takes advantage of incredible natural surroundings and offers panoramic views oft he pristine Sea of Cortés. Offer is based on a Single or Double Occupancy - 2 Guests maximium in a One Bedroom Suite. One king or two queen beds. Sleeps two persons. Generous covered terrace with comfortable outdoor seating area overlooking the Sea of Cortés and the Jack Nicklaus Ocean Course. Located on level 1 to 5; exterior-corridor access only. 2,100 square feet. 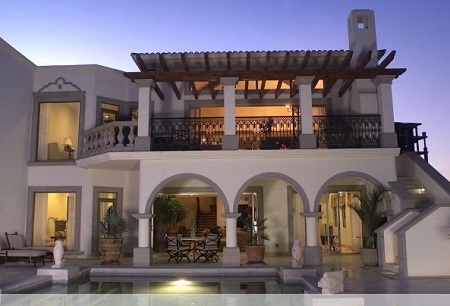 Contemporary Mexican-style décor. Bathrooms fully appointed with double wash basins, spacious tubs and separate showers. Washer/dryer combination. Walk-in closet. Entertainer’s kitchen with open counter and curved sitting bar overlooking dining area. Stay a minimum of 1 night or up to 10 nights. Tax and service charges are included with this offer.